bob dylan | Shelf Elf: read, write, rave. I have discovered that spending your day with many three, four, and five-year-olds results in an intense desire to read Books for Grown Ups. 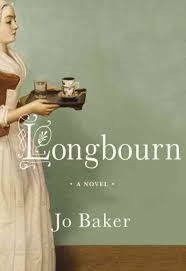 So my pleasure reading has consisted pretty much entirely of adult books since the beginning of September for the first time in years. I don’t know how long this is going to last, but I’m enjoying my time in Grown Up Reading Land. This will explain why – for the moment at least – you’ll be seeing a steady stream of picture book reviews here at Shelf Elf. That’s what they explain to me. The thing is, Campbell’s illustrations are so full of energy and joy and kooky-ness that it hardly matters if Dylan’s text doesn’t come off as made for picture book interpretation. It’s the pictures that convey the spirit of the song more than anything. A little girl and her brother and their trusty pooch race all over the place together, meeting dogs wherever they go and having a blast no matter where they are and what they’re doing. The important thing when reading this book is not to over-think things, and I know that most kids are pretty good at this. I imagine they will get a kick out of the crazy canine action on every page. It’s the sort of picture book that has so much detail in the illustrations that every time you read you are going to notice something new. A whimsical ode to childhood and dogs, if dogs run free will leave readers grinning and glad to be alive. (Warning: sure to inspire feelings of “I want a puppy” in small people. Parents, don’t say I didn’t tell ya). if dogs run free is published by Atheneum. 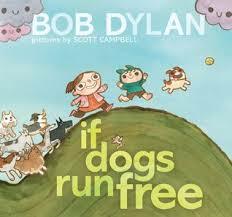 This entry was posted in Cute as all get-out, Picture Books, Poetry and tagged Atheneum, bob dylan, dogs run free, picture book on October 27, 2013 by shelfelf.